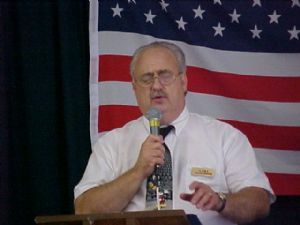 “Singing Evangelistic Ministries” is the last days ministry of Song Evangelist: Chuck Gibson also known as the “Singing Evangelist”. he is referred to as a Song Evangelist because; “he presents the Word in Song”. Chuck is not an entertainer, but a minister in song, and his ministry is operated for the soul purpose of promoting the gospel (good news) of Jesus Christ.